The Autonomous DIY Standing Desk is a great solution for users who want to use their own desktop. Available with one or two motors, the base can be used with an older or a new desktop. But the standing desk also works great for those who want to customize their desktop to have a more unique desk. The Autonomous DIY Standing Desk is a great solution for users who want to use their own desktop. Available with one or two motors, the base can be used with an older or a new desktop. 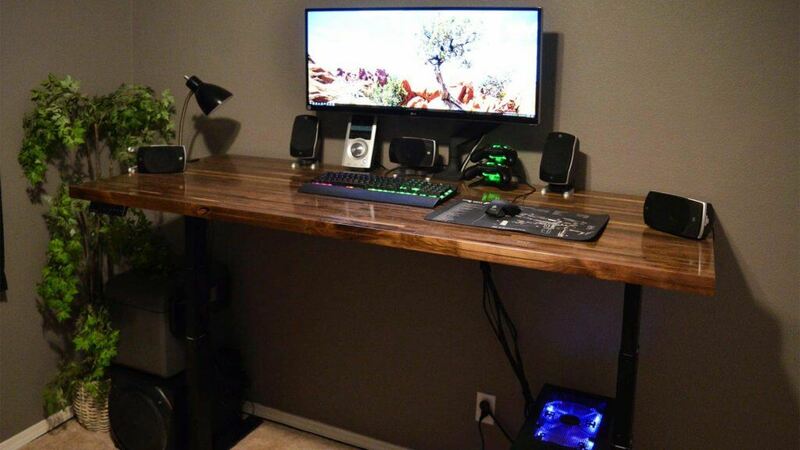 But the standing desk also works great for those who want to customize their desktop to have a more unique desk. With enough power to work with most solid wood desktops, the DIY standing desk is also easy to use with the help of the integrated digital keypad. Autonomous Standing Desk Review: DIY Standing Desk – is it as reliable as other standing desk and can it be installed by anyone? There is a certain charm about the Autonomous DIY standing desk. It is a project as users want to assemble it themselves with their own desktop. Now, these desktops can come from an old desk or they can be custom made. However, depending on the type of planned working space, users have two options. The lighter Home version is recommended with weights of up to 220lbs. Those with a single monitor and maybe a laptop can consider it for their own use. However, graphic designers, video editors, photographers and anyone working with multiple monitors needs extra motor power. For this purpose, the Business Edition standing desk with its 300lbs weight capacity is a good alternative. In real terms, the DIY standing desk actually represents two standing desks. It is also very similar to the SmartDesk 2 from Autonomous, but without the desktop. But if the tech is similar and if the design is already recognized, does it perform as good as expected? The standing desk is indeed ready to perform as good as expected, especially if the weight limit is respected. Another important aspect comes with the weight balance of the desktop. Many custom desktops can come with an unbalanced weight distribution, which can create some wobble. But if the weight of the desktop is properly distributed, there are no reasons for concern. Of course, as with any adjusting desk, there is some noise coming from the motors. But this is not too much in order to actually disturb the working environment. But since the metal frame can hold heavy desktops and even large desktops, it means there is plenty of working space to enjoy. Multiple monitors can be placed side by side. Speakers, a keyboard, a mouse and even a PC can be placed on the desktop. Being affordable as well, the DIY Standing Desk can also be the first of its kind for some users. It means that there needs to be some attention placed on how such designs work. Most importantly, users should take their time to learn more about how to maximize proper posture and improve their health with the desk as well. There are 4 heights which can be saved by the adjustable desk. Instead of always looking for the right height, users can quickly find a comfortable working position with this function. One of the first things to notice after the desk is fully assembled is with the change in working energy levels. Since users can remain active, even when at the desk, this comes with a few distinct advantages for energy levels. It also means they have the ability to improve productivity. But the biggest advantage of the DIY Standing Desk comes with its customization. Whether users choose a tabletop from IKEA or create their own wooden masterpiece desktop, the DIY desk is perfect for the freedom it comes with. It’s also worth taking into consideration other desktops which are not made from wood, for a more modern material and look. There are a few benefits in the favor of the DIY Autonomous Standing Desk. Unlike many similar options, it can come with a 5-year warranty in its Business Edition version. There’s also a 30-day trial for both desk versions. Another major advantage comes with the simplicity of the setup process. There is not too much to worry about here. All screws come in separate bags, together with instructions and tools such as an Allen wrench. Rubber bumpers and wire ties are also offered for a complete installation job. There are step-by-step printed instructions to guide the installation process. However, users should plan access to a power source, especially if coming from a fixed desk where this was not an issue. Another important tip is to allow for some cable length to cover the full height of the extended desk. There are up and down height controls on the included controllers. Together with 4 memory options, the transitioning between sitting and standing is quicker. Of course, these settings don’t need to be transitioning from low to high, but for added simplicity, 1 can be the lowest memorized height while 4 can be the highest memorized desk height. 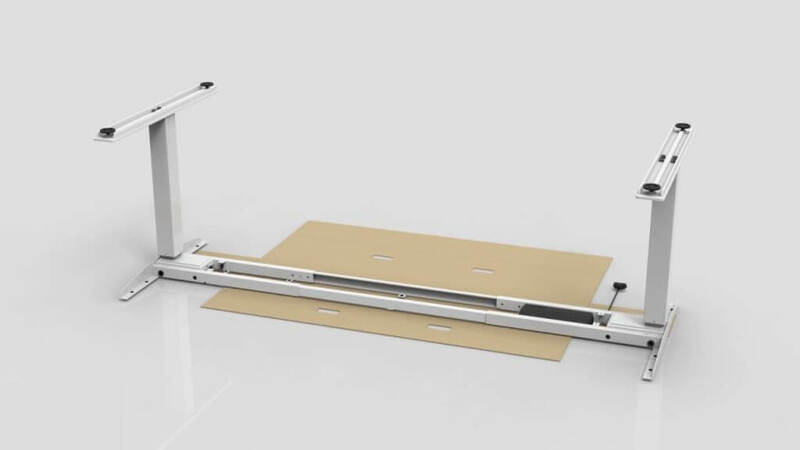 In terms of speed, the desk is also programmed to slow down the height adjustability towards the highest point and towards the lowest point for a smoother experience. Some users would also like to see an upgrade for similar slower adjustability towards the memorized heights of the desk. No Autonomous Standing Desk review can be complete without a quick mention of other great office products from Autonomous. They are easily among the best in their class whether they are ergonomic chairs or stools, which can be easily coupled with a standing desk. The Home Edition Autonomous DIY Standing Desk starts at $249 while the Business Edition comes at $349. This makes the adjustable desk unmatchable for affordability. Given its full height adjustability flexibility, it is recommended both for those who have never owned a standing desk before and for those who want to upgrade to a modern height adjustable desk.